View Talay 5C. This Beachfront, ocean view unit is on the 22nd floor of this high rise building. 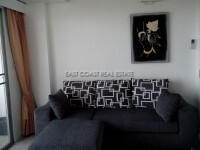 The 48 sqm unit is facing the Jomtien side and less than 100 meters to the beach. The unit is fully furnished, European kitchen, build-in wardrobe, flat screen TV and an air condition. The building provides direct beach access, a large communal swimming pool, restaurants & shops in the building, 24 hour security guards, cleaning service, etc. 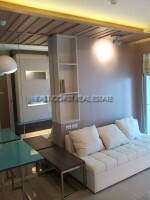 This unit can be rented with a minimum rental contract of 6 month at 15,000 baht per month.